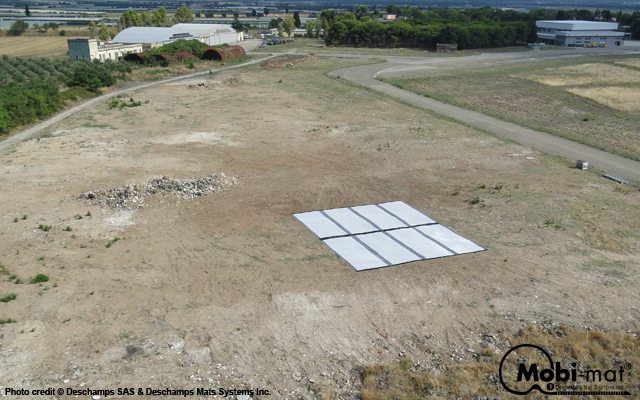 Helipad™ - Mobi-Mat by DMS Inc.
Mobi-Mat® Helipad™ AFX Chameleon is a Removable Helicopter Landing Zone that prevents sand clouds and Foreign Object Damage (FOD) to the aircraft or personnel. 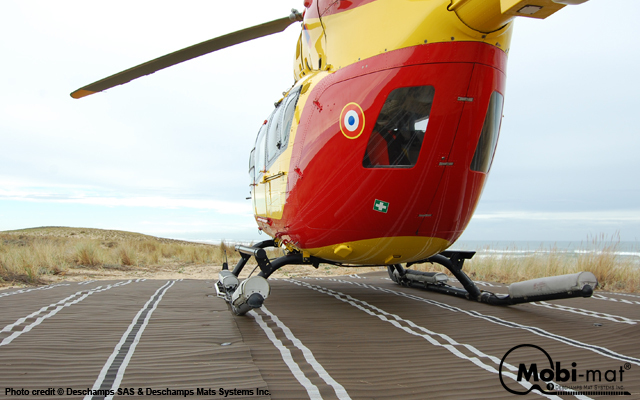 Within minutes you can create a stable, permanent or temporary landing zone..
Mobi-Mat® Helipad™ reduces the hazards caused by blowing sand, dirt, snow and stones while preventing damage to either the aircraft or personnel. 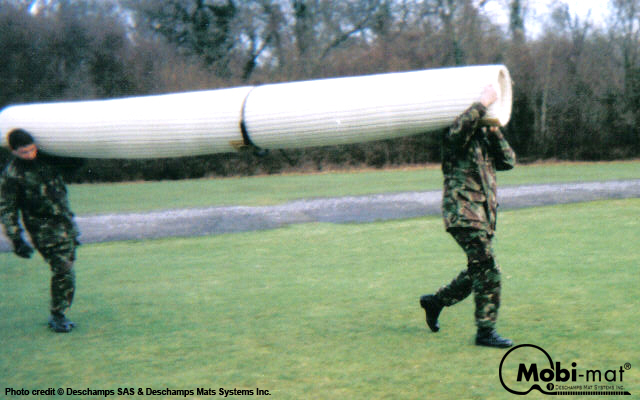 One roll is easily carried by two people. Stake anchors are supplied in the kit for securing the mat to the ground. It secures personnel movement near the aircraft and offers a clean and steady working platform. Its porosity allows the passage of water and hazardous liquids thus reducing the risk of fire. 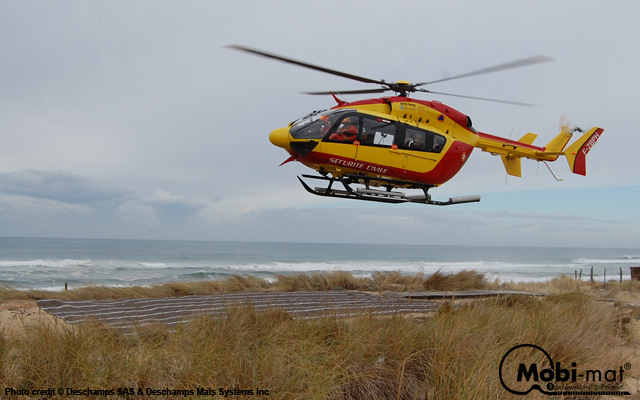 The crew can locate and orientate to it from a considerable distance. 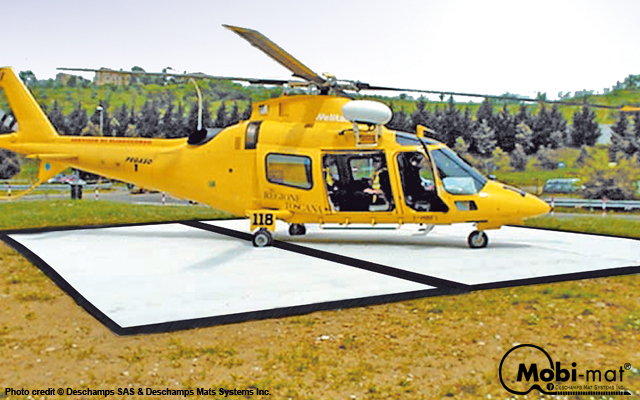 Puncture and tear resistant, Mobi-Mat® Helipad™ patented surface follows ground contour without permanent deformation and resists heavy wheeled vehicle movements.